At the conference, the session cited by the lawmakers and reports was the only in support of climate denialism. The conference was not focused solely on environmental issues, but other other sessions were held asking whether carbon taxes were a viable solution for climate change, and religious liberty. “Given the magnitude and urgency of the climate crisis that we are now facing, we find it imperative to ensure that the climate-related views espoused at LibertyCon do not reflect the values of your companies going forward,” the lawmakers wrote. In a statement to Mother Jones, Google said that it often sponsors organizations across the political spectrum. “Google’s sponsorship or collaboration with a third party organization doesn’t mean that we endorse the organization’s entire agenda or agree with other speakers or sponsors,” a spokesperson said. The letter to the likes of Mark Zuckerberg and Sundar Pichai isn’t Ocasio-Cortez’s first big criticism of Silicon Valley. Over the weekend, she continued to critique companies like Amazon over algorithm bias and platforms like Google and Facebook for disseminating misinformation. 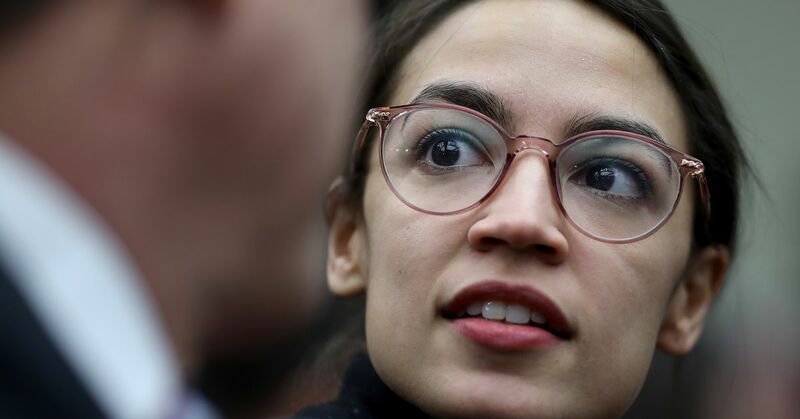 “The fact of the matter is the current monopoly trend is societally and economically unsustainable,” Ocasio-Cortez said on Saturday. In recent weeks, Ocasio-Cortez, who is known for her efficient and creative uses of social media, has turned her sights onto Silicon Valley tech giants. Shortly before she took her oath of office in January, Amazon announced that its second HQ would be divided between New York City and Northern Virginia. While her New York colleagues in the Senate initially kept quiet about the announcement, Ocasio-Cortez sided with many local leaders, rejecting Amazon’s decision to move into Long Island City. Updated 1/28/19 at 4:17 p.m. ET: Updated to include statements from Microsoft and Google.